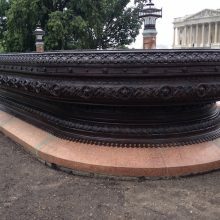 We were contracted by the Architect of the Capitol to perform conservation treatment and maintenance on several architectural elements, including the two bronze decorative fountains known as the Olmsted Fountains, located on the East Plaza of the United States Capitol Grounds. 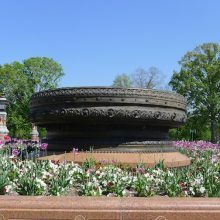 The United States Capitol is sited on a 58-acre park that was landscaped by Frederick Law Olmsted during the period of 1874-1892. 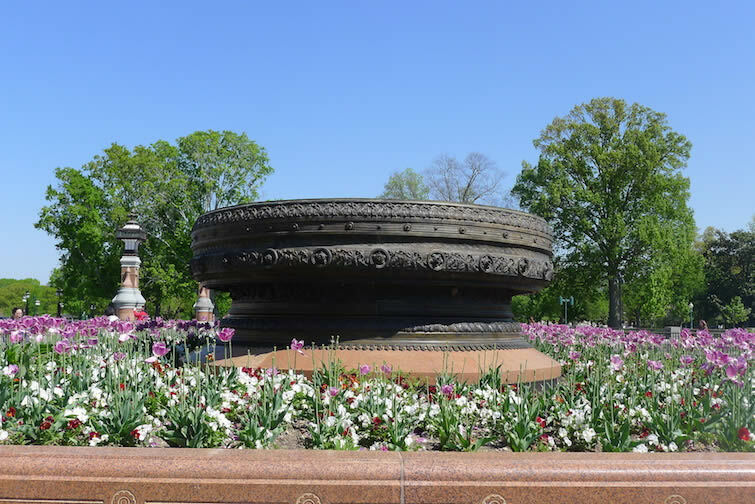 Olmsted (along with Calvert Vaux) are renowned for their designs of Central Park and numerous sites throughout North America, in addition to enhancing the concepts of “landscape architecture” and “hardscapes”. 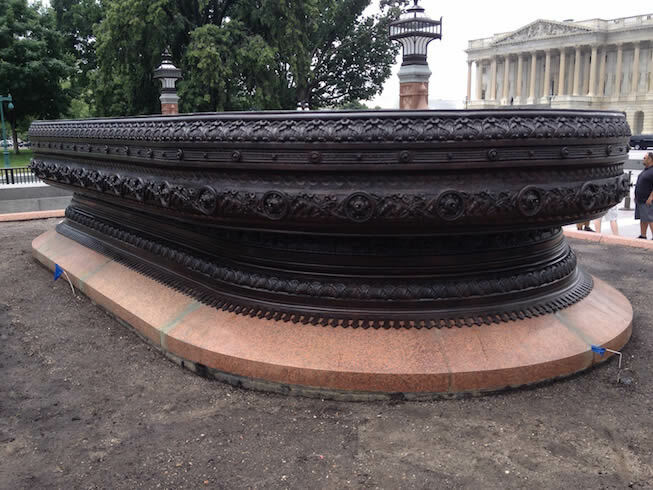 At the Capitol, these hardscapes include low walls bordering the walks, lamps, and fountains throughout the grounds. 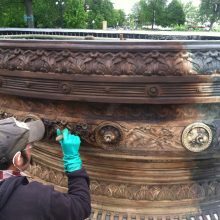 Our conservators treated the two bronze fountains located on the East Plaza as well as six ornamental bronze lanterns and several plaques on the grounds. 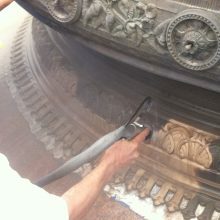 The previous coatings were completely removed using a laser followed by corrosion removal with wet micro-abrasion system. 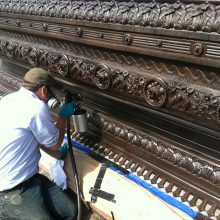 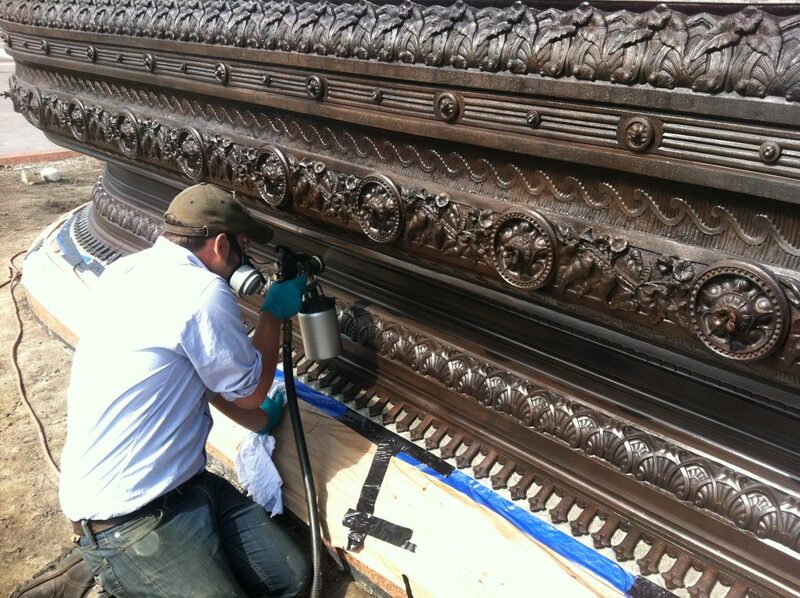 To fully prepare the bronze surface for patination, all remaining loose surface corrosion was removed by hand using bronze detail brushes and pads. 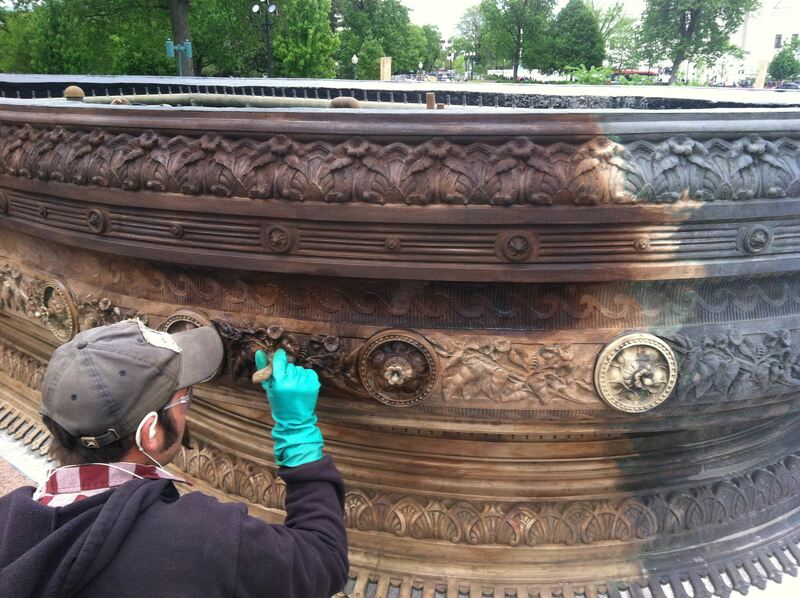 The fountains were re-patinated by several applications of dilute solutions of ammonium sulfide and liver of sulfur. 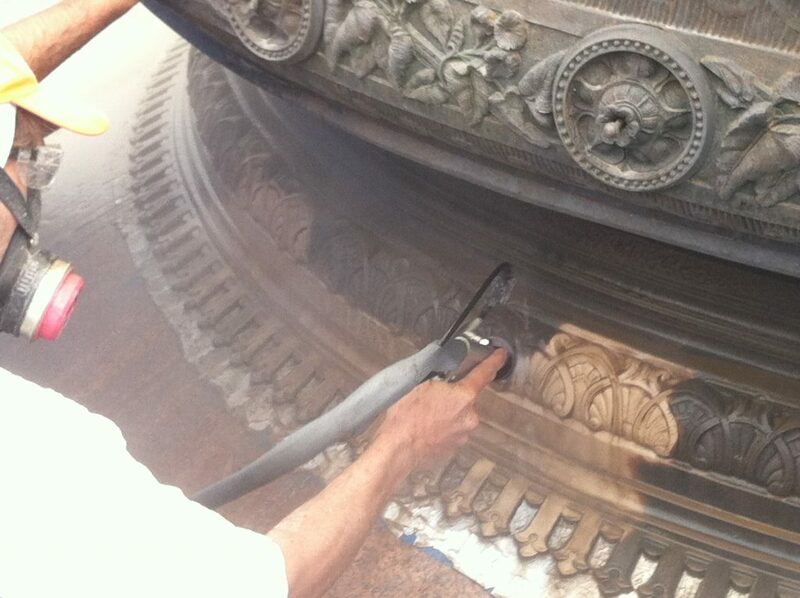 Finally, the surfaces were finished with several applications of a high performance grade outdoor lacquer.